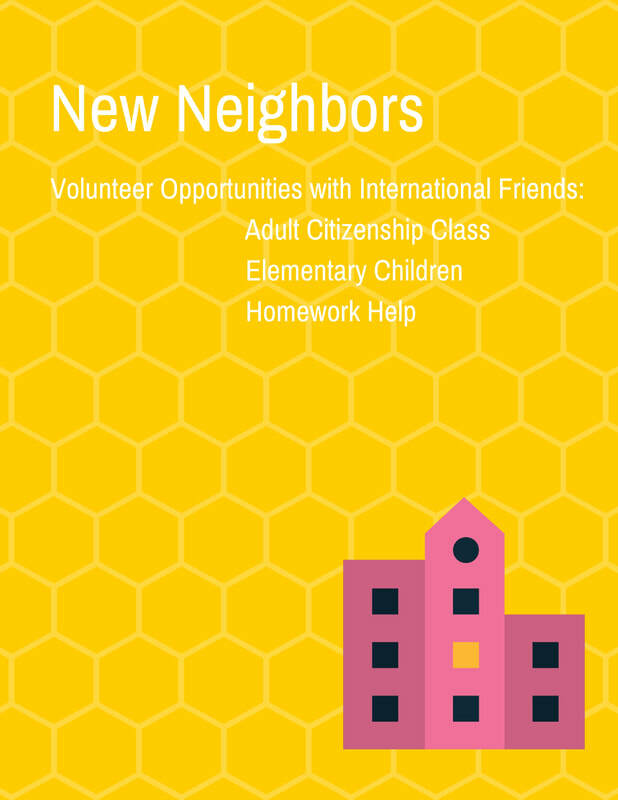 New Neighbors is a multi-ethnic program designed to build relationships and show love while helping our new neighbors learn some of the basic demands of living in our culture. We offer a citizenship class, homework help for children and teens, and children's activities. Are you interested in volunteering at New Neighbors?